The Cedar Springs Post has a nice article about our residents which are featured in the Heart of West Michigan’s ArtPrize. Glad our town is so well represented! This is pretty amazing: why the information in our DNA points to a Creator. Eric Metaxas explains how the heroin epidemic in our country is a great opportunity for the church. 5 lies that lead to burnout. And here is a list of how beyond lying to the public, Planned Parenthood continues to break the law! As always, John Maxwell includes a whole bunch of great quotes from other sources to make his case. In Teamwork 101, here are a few of the quotes I enjoyed. 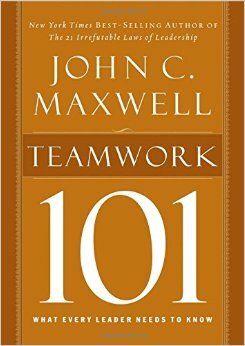 If you would like to read some of the original John Maxwell quotes from Teamwork 101, please click here. One of the things I enjoy about John Maxwell’s books is the number of other resources he employs to make his point: motivational sources, historical sources, quotes, stories, personal examples, and more. Here are some of the quotes Dr. Maxwell shared in his Success 101 book. 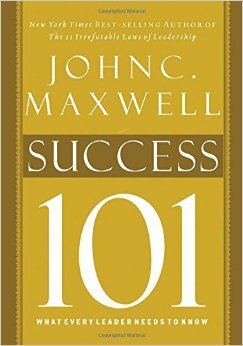 I also shared some quotes from John Maxwell himself in Success 101. You can read those by clicking here. The inspiration of God does not patch up my natural virtues; He re-makes the whole of my being until we find that every virtue we possess is His alone. God does not come in and patch up our good works, He puts in the Spirit that was characteristic of Jesus; it is His patience, His love, and His tenderness and gentleness that are exhibited through us. 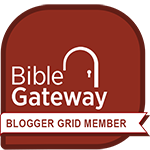 …When God alters a man’s heart and plants His Spirit within, his actions have the inspiration of God behind them; if they have not, they may have the inspiration of satan. 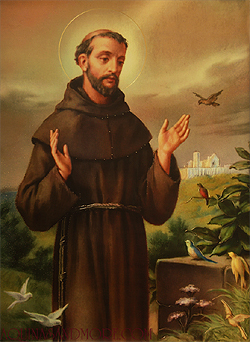 Francis’ view should be ours as well: Every thought, every word, every action is directed by the Spirit of Christ in me. What I am doing now, I’m doing because the Holy Spirit inspired me to do it. It’s encouraging to know that Christ can be exhibited in everything I think, say, and do. But it’s also very sobering to realize that I need to be constantly tuned-in to the inspiration of the Holy Spirit. I never want to be out-of-step with the Spirit, but I want all my thoughts, words, and actions to be Christ exhibited in me. Everywhere you go today, you are bringing something. What is it? Compassion … Empathy … Servanthood … Encouragement … A smile? Disinterest … Apathy … Selfishness … Discouragement … A frown? So what are you going to bring today?